USD is under pressure due to Fed officials’ remarks and the recent published data. The support rests at 110.150 with resistance at 110.870 which both lines are below the weekly pivot point at 111.230. The EMA of 10 is moving with bearish bias along the descendant channel and it is below the EMA of 200 and the EMA of 100. The RSI is falling towards the oversold area, the Stochastic is moving in low ranges and the MACD indicator is in neutral territory. The ADX is showing sell signals. 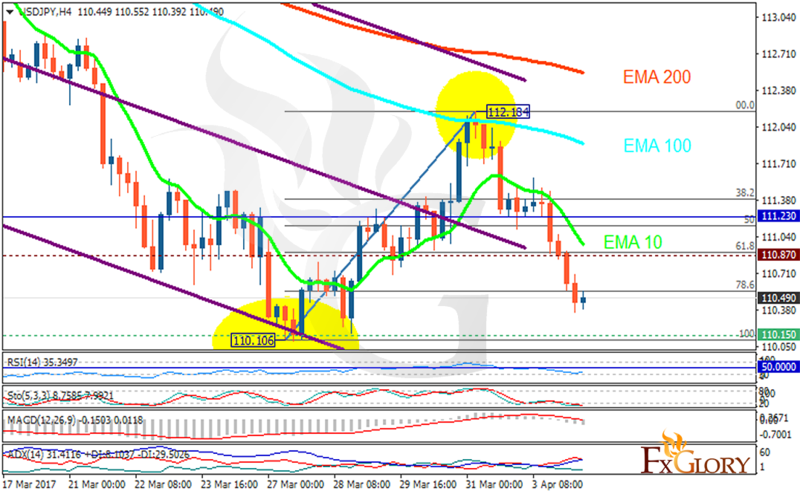 The pair has crossed the 78.6 level of Fibonacci and now its time to start its correction pattern upward targeting 112.